What Plato tried to show with his dialogues between Socrates (the philosopher) and the Sophists, was the art of philosophy, namely critical thinking. 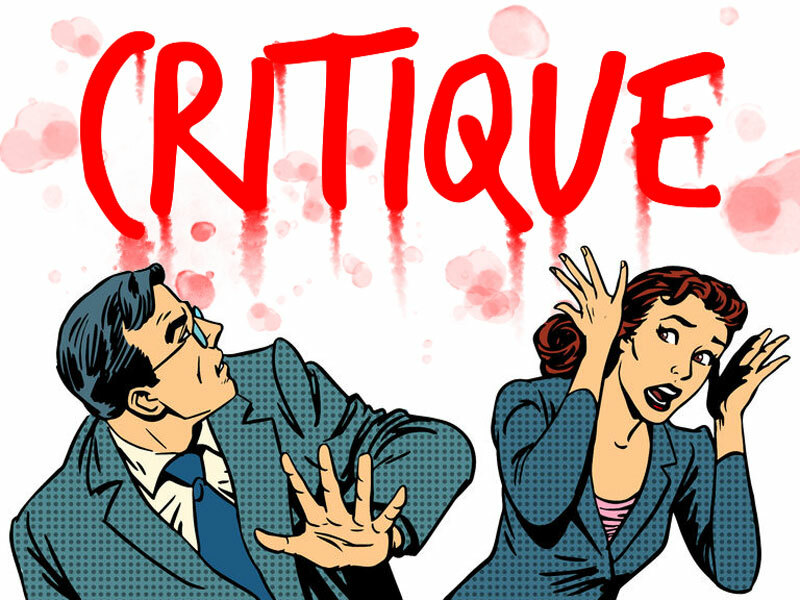 Critique is a method of disciplined, systematic study of a written or oral discourse. In New Age critique is commonly understood as fault finding and negative judgment, but it can also involve merit recognition, and in the philosophical tradition, as mine belongs to, it also means a methodical practice of doubt. The contemporary sense of critique has been largely influenced by the Enlightenment critique of prejudice and authority, which championed the emancipation and autonomy from religious and political authorities. The enlightenment period showed how well the introduction of the ancient practice of reason within philosophy can be, but the enlightenment period also showed the introduction of a new ideology, namely evolutionism, and herewith reductionism and scientism (see my Ebook Evolutionism – The Red Thread in the Matrix Conspiracy). With the enlightenment period critical thinking more and more turned into sophism, or propaganda. Today this is seen in the skeptical movement, which claims to be a defender of enlightenment reason and rational argument, but over and over again, shows a lack of ability to practice what they have committed themselves to: rational argument. I have shown this in my booklet on Atheist Fundamentalism, and in my blog posts on atheist propaganda in Skeptical Inquirer (see for example my posts on James Alcock and Steven Pinker). Philosophy is the application of critical thought, and is the disciplined practice of processing the theory/praxis problem. That is precisely the discipline used in all wisdom traditions. We deal with a concept dogmatically ... if we consider it as contained under another concept of the object which constitutes a principle of reason and determine it in conformity with this. But we deal with it merely critically if we consider it only in reference to our cognitive faculties and consequently to the subjective conditions of thinking it, without undertaking to decide anything about its object. Later thinkers such as Hegel used the word 'critique' in a broader way than Kant's sense of the word, to mean the systematic inquiry into the limits of a doctrine or set of concepts. This referential expansion led, for instance, to the formulation of the idea of social critique, such as arose after Karl Marx's theoretical work delineated in his Contribution to the Critique of Political Economy (1859), which was a critique of the then-current models of economic theory and thought of that time. Further critique can then be applied after the fact, by using thorough critique as a basis for new argument. The idea of critique is elemental to legal, aesthetic, and literary theory and such practices, such as in the analysis and evaluation of writings such as pictorial, musical, or expanded textual works. In French, German, or Italian, no distinction is drawn between 'critique' and 'criticism': the two words both translate as critique, Kritik, and critica, respectively. In the English language, according to philosopher Gianni Vattimo, criticism is used more frequently to denote literary criticism or art criticism, that is the interpretation and evaluation of literature and art; while critique may be used to refer to more general and profound writing as Kant's Critique of pure reason. Another proposed distinction is that critique is never personalized nor ad hominem, but is instead the analyses of the structure of the thought in the content of the item critiqued. This analysis then offers by way of the critique method either a rebuttal or a suggestion of further expansion upon the problems presented by the topic of that specific written or oral argumentation. A more curious distortion of the ancient art of critical thinking, comes from New Age, which says that you must not criticize at all. This is apparently a dogma within New Age: Thou Shall Not Criticize!!! This is a sinister way of silencing critique which stems from the postmodernist traditions of the Universities, and therefore relativism and subjectivism (see my article Constructivism – The Postmodern Intellectualism behind New Age and the Self-help Industry). The tradition of critique in philosophy is in that way forgotten, and reduced to scientism (no matter whether we talk about atheist scientism or New Age scientism), so that people often will meet philosophical critique with an accusation of that it doesn´t follow the rules of critique which, especially the human sciences have created, for example the neutrality dogma, which says that you should give an equal presentation of pros and cons. But philosophy doesn´t criticize out of the blue air, or for ideological reasons. It criticizes in order to protect the precious store of wisdom; it criticizes in order to protect truth. The best way to illustrate this is to illustrate the difference between philosophical education and ideological education. Philosophical education is an ancient way of education which are forgotten today. It simply doesn´t exist anymore, though there are signs of it. But we will look at it anyway in order to illustrate my point. Philosophical education has its basic objectives, first, the disposition to seek truth, and, second, the capacity to conduct rational inquiry. Training scientists, for example, requires the inculcation both of an ethic of inquiry – do not fabricate or distort results, take care to prevent your hypotheses (or desires) from affecting your observations – and the techniques of inquiry appropriate to the discipline. There are of course many different forms of philosophical education, corresponding to the numerous ways in which truth may be pursued. A philosopher will always introduce his or hers own subjective thoughts. Philosophy is the source of free thinking. Nevertheless, these forms of education share three key features. First, they are not decisively shaped by the specific social or political/religious circumstances in which they are conducted, or, to put it the other way around, they are perverted when such circumstances come to have a substantive effect. There is no valid distinction between “Jewish” and “Aryan” physics, or between “bourgois” and “socialist” biology; truth is one and universal. Secondly, and relatedly, philosophical education can have corrosive consequences for political (and/or religious) communities in which it is allowed to take place. The pursuit of truth – scientific, historical, moral, or whatever – can undermine structures of unexamined but socially central belief. Philosophy has an anarchic impulse. Third, philosophical education will always follow the standards of philosophy, namely the conduct of logic and rational argumentation. Philosophy is committed to reason. Ideological education - (today through what I call The Matrix Conspiracy) - differs from philosophical education in all these respects. Its purpose is not the pursuit and acquisition of truth, but rather the formation of individuals, who can effectively conduct their lives within, and support, their political (and/or religious) community. It is unlikely, to say the least, that the truth will be fully consistent with this purpose. Nor is ideological education homogeneous and universal. It is by definition education within, and on behalf of, a particular political (and/or religious) order. Nor, finally, does ideological education stand in opposition to its political (and/or religious) community. On the contrary, it fails – fundamentally – if it does not support and strengthen that community. Ideologies are using propaganda in order to get their “truths” forced through. In that connection they use thought distortions. Thought distortions are “techniques”, that, unconsciuos or conscious, are used from an interest in finding ways of getting on in the world, rather than an interest in finding ways of discovering the truth. Thought distortions are the background for poor reasoning, diversionary ploys, seductive reasoning errors, techniques of persuasion and avoidance, psychological factors, which can be obstacles to clear thought (see my book A Dictionary of Thought Distortions). The large number of hate-mails I have received from New Agers over the years, seem to revolve around one central concept, namely the concept of critique. This is due that my central goal is a protection of the original wisdom traditions, and that I therefore have criticized the huge number of spiritual charlatans within New Age. Remember: if New Age have a dogma, it is the dogma: Thou Shall Not Criticize!!! This dogma consists in especially three thought distortions: Ad Hominem Move, Don´t Knock Till You´ve Tried It, and That´s Judgmental. These are all so-called Knock-down arguments, or arguments used purely in order to silence critique. Ad hominem move is a Latin phrase meaning “to the person”. The devious move in debate, where you shift attention from the point in question to some non-relevant aspect of the person making it. Calling someone´s statement ad hominem is always a reproach. This reproach involves the claim that the aspects of the arguer´s personality or behaviour, which have become the focus of discussion, are irrelevant to the point being discussed. Often ad hominem move is simply based on Prejudice. It can also be a Rhetorical move, for example setting up a Straw man. Ad hominem move is a very widespread, and problematic, move among psychologists and psychotherapists, and in the whole of the New Age environment and the self-help industry, where they can´t limit their theories to clients, wherefore it can be very difficult to have a normal discussion/relationship with these people (note that the above-mentioned persons from the skeptical movement, James Alcock and Steven Pinker, also are psychologists, who exposes this tendency). In New Age such psychologizing tendencies shows in Ad Hominem Moves such as: “What a hateful person you are”, “You haven´t received much love in your childhood”, “Were you sexually abused by your father?”, “You got a severe personality flaw”, “You ought to be forced into one of the psychotherapeutic treatments you critizice” etc., etc.,. The second thought distortion I often have been met with is Don´t Knock It Till You Try It. Don´t knock it till you try it is a statement treated by its utterer as a knock-down argument against what has just been said; that is: a phrase used to silence critique. It always, more or less implicit, insinuates, that the critic is closed-minded, intolerant and judgmental. In that sense related to That´s judgmental (see below). It takes this form: You´ve never tried/used/seen “X”. Therefore, you can´t have an opinion on “X”. The phrase is obviously a fallacy. If you should take it seriously you can´t criticize anything unless you have tried it. Moreover, you can´t know anything, unless you have tried it. But here the phrase becomes self-refuting, because then the utterer himself can´t know what the critic has tried or not. Even if the critic is wrong because he or she hasn´t tried something (for example having had an experience of classical music), then Don´t Knock It Till You Try It is still invalid. Instead one should try to show the critic that he/she is wrong by seriously examining the critique and presenting reasons and evidence in support of conclusions. Don´t Knock It Till You Try It is also a variation of Truth by authority. The one who utters the statement claims to be an authority on the matter because he/she has tried it. But this doesn´t make the statement true. Often the utterer ends in some kind of Contradiction or even Hypocrisy, for example when using the phrase in a way that borders to insinuations/insults towards a critic, at the same time as the utterer is defending a New Age/self-help technique claimed to create human improvement. A level of critical thinking is always appropriate, because the experience may be based on a variation of thought distortions, such a Subjective validation, Wishful thinking, Cognitive dissonance, Ego-inflation, etc., etc. Often Don´t Knock It Till You Try It is a result of the Backfire effect, which is the curious response many people have to evidence that conflicts with their beliefs: instead of becoming open to the possibility that the evidence might be correct and one might have to change one´s mind, many people become more convinced that they were right in the first place. The fact is: of course you can know a lot of things, and make correct opinions about it, without having tried it. Finally, if you actually have tried something, and still are critical you might very well get the answer that you then haven´t understood it correctly, that you are closed-minded, defensive, unprepared, prejudiced, etc., etc. But that would be an Ad hominem move, and therefore invalid in another direction. The third thought distortion is That´s judgmental. That´s judgmental is again a statement sometimes mistakenly treated by its utterer as a knock-down argument against what has just been said. The assumption so obviously being made by those who use this phrase to silence discussions, or critique, is that, for some usually unspecified reasons, judgments are considered as an invention of the devil; that is: judgmental terms such as good versus bad, right versus wrong, fair versus unfair. Both subjectivism and relativism claim that any objective truth doesn´t exist. Truth is something we create ourselves, either as individuals or cultures, and since any objective truth doesn´t exist, any objective scale of truth doesn´t exist either. All truths are therefore equally true and equally valid, and if one person´s truth, or one culture´s truth, try to intervene in the truths of other individuals or cultures, then this is considered as an aggression. 1) Critical thinking (spotting thought distortions created by dualistic unbalance, both in oneself and in others - See my book A Dictionary of Thought Distortions). 3) The spiritual practice (going beyond all ideas and images – see my article Paranormal phenomena seen in connection with spiritual practice). The misunderstanding happens when you only focus on 3; as for example in meditation where you practice neutral observation, passive listening presence, etc. ; that is: where you try not to make judgments - because in order to exist in the world you must think, and therefore make judgments. In every act of communication you must think, and therefore make judgments. The art is then to make these judgments liberated from thought distortions, and therefore liberated from the painbody. Critical thinking is a central aspect of exploring, changing and restructuring thought distortions. Now, for an alternate, "bigger picture" context, in a hopefully-clarifying threefold model I have presented elsewhere [click here to read more extensively], we can say it is 1) Absolutely true that "nothing is really happening," that all manifestation is "dream-like" and ultimately "empty" because there is only God, only Absolute Being-Awareness-Bliss, the One Alone, the all-transcending and unmanifest Spirit. 2) A step down from this strictly nondual "Absolute-truth level" (paramarthika-satya) of the ONE Alone to the "blessed many" is what we might call the "psychic-soul" truth-level in which "whatever happens in the manifest worlds is perfect," because all souls are sooner or later coming Home to perfect virtue and Divine awakening from soul-hood into Spirit, so that there's fundamentally nothing "wrong" or "problematic." 3) Finally, more pragmatically and usefully, there is the mundane, "conventional-truth level" (vyavaharika-satya) involving the play of opposites, crucially including justice-injustice, true-false, good-evil, appropriate-inappropriate, skillful-unskillful. All three of these levels (Absolute truth, psychic-soul truth, and mundane conventional truth) are simultaneously true within this overall Nondual (Advaita) Reality. One level is Absolutely True, the other two levels are "relatively true" or "experientially true" within the play of the many. The tragical with this confusion is that it is ending in nihilism. Besides the examples I have mentioned in this Ebook, another grotesque example of how That´s Judgmental directly has been put in system by combining subjectivism with misunderstood spirituality, is in the communication theory Nonviolent Communication (NVC), where 1 and 2 precisely have been removed (see my article Nonviolent Communication (NVC) is an instrument of psychic terror). You are here encouraged to observe neutral (this is possible in meditation) and express your feelings and needs without judgments (this is not possible). The contradiction here is that if you for example have a feeling of anger, then this anger is caused by a thought and therefore a judgment, and therefore you can´t express it neutral. Shortly said: a feeling is a judgment (if you actually were observing neutral then the anger hardly would emerge – or said differently: the painbody would not be active). But NVC completely abjures thoughts, and in the oblivion of the thoughts, NVC allows thought distortions to speak uncontrolled. And since the negative thought pattern behind the painbody consists in thought distortions, NVC also allows the painbody to speak uncontrolled. To be a witness to a NVC group session is therefore something of an experience. Nobody notices the self-contradictions; not even the obvious NVC division of language in giraffe language (good) and wolf language (bad). It is heart breaking to see the manipulation, the creation of rancour, the disrespectfulness, the put-downs, the ruination of reputation, and the emotional torture, which in NVC happen in the name of compassion and nonviolence. And due to Subjective validation most of the participants will say that it was a good experience though it wasn´t. So, rather than saying that judgments are an invention of the devil, you could say that the thought distortion That´s judgmental is an invention of the devil. The problem of NVC is characterizing the whole of the New Age and self-help industry, which are based on the same fundamental psychologizing sources of inspiration. The whole of this misunderstanding of the concept of critique is an example on the monstrosity of pseudo-scholarship and lack of education within New Age, and on the whole the rise of anti-intellectualism in our modern society. Anti-intellectualism is especially shown in an aversion towards philosophy (see my article Anti-intellectualism and Anti-science).